Rake back is when the poker room gives you a certain percentage of the rake you pay back to you. If you pay $10 in rake you will get a certain percentage of that back. How much you get back vary from site to site. Some sites does not offer you any rakeback at all. Other can offer you a large rakeback. Generally speaking it can be said that it mainly is second tier poker rooms that offer rake back. The top tier poker rooms are very popular without rakeback and have no incentive to offer rake back. A poker room that offer rake back should therefore often be avoided. Most poker rooms offer a VIP club which is similar to a rake back but not identical. The poker room does not act a player at the table. They have no stake in the hand and no edge. The do however still need to earn money. They do this by charging a rake. A rake is similar to a tax that pays for the table and the dealer. The rake is charged as a percentage of each pot. Many poker room charges 5%. The rake is only charged if the pot reaches as a certain size and there is usually a maximum rake that is charge on each individual hand. Rakeback can work differently in different poker rooms. You do usually not have to do anything to get the money. They are usually deposited to your account automatically. When you get your money can vary a lot. Some poker rooms will give you your money daily. Other will do it weekly or monthly. How much money you get depends on how much you play. The more you play the more money you will receive as rake back. Can US players can receive rake back ? Yes. Most poker rooms that accept US players (very few) will allow the US players to earn rake back. How is rake & Rakeback calculated ? 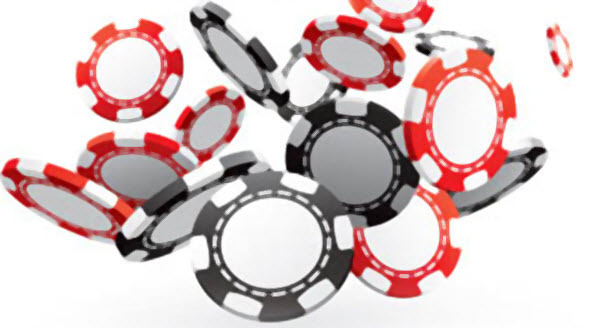 Rakeback is calculated in different ways in different poker rooms. You should always inquire as to how a rake back program calculate the rake before you join. There are two common ways to calculate rake for rake back programs. The first way is to base the rake on each hand that is dealt. Each player that is dealt cards is attributed with a an equal share of the total rake regardless of how much they actually contributed to the pot and regardless of whether they folded or not. This method is most suited for tight players and grinders. The second way to calculate the rate is to prorate each players a part of the rake in relation to how big part of the pot the contributed with. A player that added 30% of the pot get 30% of the rake. A player that folded and only contributed 5% only get 5% of the rake attributed to them. This is suitable for aggressive players. If I play from a different computer or if I buy a new computer will it affect your Rakeback? No. As long as you log in using the same account you will get the same rate back. A possible exception form this is if you are traveling and log in from a country that do not allow poker or rakeback.